Last week, more than 11 million people in the US watched a live broadcast of the musical The Wiz, an adaptation of The Wizard of Oz that came almost 30 years before Wicked. Created for a black cast, it won best musical at the Tony Awards in 1975. 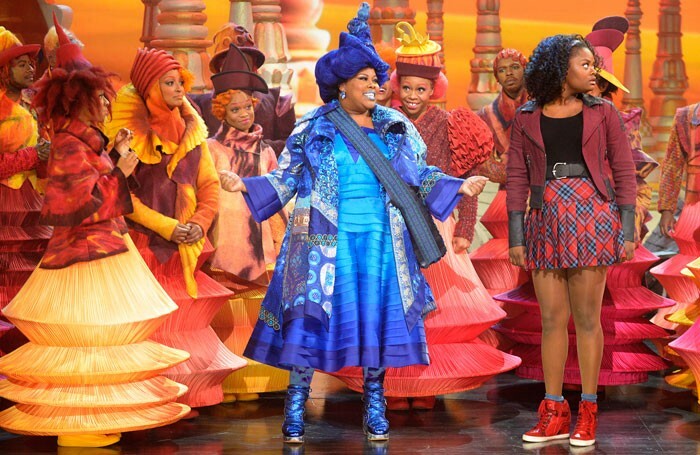 The Wiz (2015 edition) was the third annual live musical from producers Craig Zadan and Neil Meron, following The Sound of Music in 2013 and Peter Pan last year. The Wiz was, by consensus, vastly superior to the previous two, and I happen to agree; in fact, I tweeted that opinion only 75 minutes into the three-hour broadcast. As has always been the plan, The Wiz production is now expected to run on Broadway in the 2016-17 season, although it’s unlikely the stage version will manage to field a cast like the broadcast did. Among the performers were Mary J Blige, Queen Latifah, Ne-Yo and, in a cameo role, Common. Mind you, the early days of US television, when most broadcasts were live, were filled with adaptations of plays, and some distinguished works first written for TV, like Horton Foote’s The Trip to Bountiful or Rod Serling’s Requiem for a Heavyweight were later adapted for both the stage and as films. Remarkably, what seems to be driving the new popularity of live staged TV are social media, which value the immediacy of sports, awards broadcasts and, yes, theatre, because as they unfold in real time – with all of the spontaneity and potential for gaffes intact – they create the opportunity for shared experiences online. Indeed, audience members can chat away with one another throughout these shows without disrupting anyone else; they can even let their cellphone rings without causing an interruption in the performance. This blurring of the stage and screen is happening at an accelerating pace in a variety of ways. While NT Live has forged new paths for the streaming of theatre to cinemas around the world (though they’re only really live in the UK and nearby time zones), the US has been much slower to adopt the model, due in part to more restrictive, and therefore expensive, union agreements. That said, just last night, the Off-Broadway production of the intimate musical Daddy Long Legs was streamed live online for viewing anywhere, which is an important development that will surely be closely watched as a test case. Can the embrace of video technology add value to a property or production even when it’s offered up gratis? This week has also seen the daily release of new videos from the second series of My America short films from Centerstage in Maryland, where artistic director Kwame Kwei-Armah has been exploring the intersection of film and theatre by commissioning original short plays from an array of writers. The new series has been shot guerrilla-style on sites where racial violence has taken place, essential spots in the new civil rights movement. But it blurs the traditional lines between the mediums by shooting plays in real-life settings specifically for video viewing; it’s theatre that won’t play in a theatre. Just as the word television is becoming more a term for a specific viewing appliance, as opposed to the content itself, what we consider theatre may have to evolve as well. Purists will say that The Wiz was a Broadway text and score produced for video, not theatre – in no small part because there was no audience present – and that despite the credentials of the participating authors, My America is essentially a film series. But perhaps we should be worrying less about the labels and looking more at impact: The Wiz may have inspired an interest in theatre among young people who may never be able to attend the show’s promised Broadway run; the Daddy Long Legs stream may help promote a chamber piece into the musical theatre repertory; live audiences could not have attended a play performed outside the burned out chemist shop that went up in flames during the Baltimore riots. And in the US, it’s worth noting that the largest national audience for musical sequences from Broadway shows isn’t on the annual Tony Awards broadcast – it’s found in the first hour of the broadcast of the venerable Thanksgiving Day Parade from New York, which is seen by more than 20 million people. Just because it’s not performed in a theatre, does it stop being theatre? The remarkable Lois Smith, who made her film debut in the classic East of Eden with James Dean, maintains her steady record of stage appearances at the age of 85, opening on Monday at New York’s Playwrights Horizons as the title character in Jordan Harrison’s Marjorie Prime. Smith plays a woman losing her memory who turns to a technique that uses holograms to preserve people as they would like to be remembered. Smith knows the role well: she appeared in the play’s premiere at the Mark Taper Forum in Los Angeles and has already completed the film version, which also features Jon Hamm and Geena Davis. Anne Kauffman directs the production, which plays through January 3. A separate production of the play is currently running at Writers Theatre outside Chicago as well, through February. I’ve been intrigued by the idea of Shakespeare’s Much Ado About Nothing as seen through the prism of Beatlemania, so I’ve been waiting for the opportunity to see the musical These Paper Bullets! since it debuted at the Yale Repertory Theatre. While it then headed to the west coast for a run at the Geffen Playhouse, the show reaches New York this week at the Atlantic Theatre Company, opening on Tuesday. Jackson Gay once again directs the show, which has a book by Rolin Jones and a score by Green Day frontman Billie Joe Armstrong. It plays through January 10.